Climb aboard, mateys, for more swashbuckling than has ever been seen in the pages of an early reader. 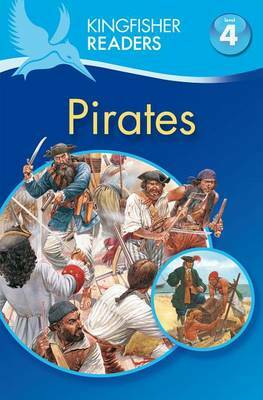 Starting with who became pirates and why, and covering female pirates, terrible deeds, punishment, and all of the key accessories flags, swords, treasure, hideouts, and more this is a detailed and exciting look at life on the high seas. Along the way, readers will expand their skills with the introduction of challenging new vocabulary within the text, and callouts and fact boxes to highlight key information. Level 4 also adds a timeline for another key research skill. With all this action, kids might forget they're working on their reading at all! LEVEL 4 READING ALONE (cyan)Sentence structure and vocabulary will be more varied with a wider range of sentence types, vocabulary and punctuation. Includes glossary and index.